The Deadpool 2 extended version, hilariously named the Super Duper Cut, reveals the original post-credit scene planned for the movie. The Super Duper Cut adds two more scenes to the credits, one during and one after, both featuring the Merc with the Mouth traveling back in time to kill baby Hitler. When Deadpool 2 first hit theaters, a number of Marvel fans were disappointed when the credits finished rolling and there was no scene afterwards, which many members of the audience found unusual. Post-credit scenes have regularly been a tradition for Marvel movies, especially for the more comedic Marvel movies. Because of this, it felt incredibly unusual when Deadpool 2 had absolutely nothing after the credits except a couple studio logos. The Super Duper Cut released the original plans for the Deadpool 2 post-credit scene, which featured Deadpool travelling back in time to kill Baby Hitler, a follow-up to a joke he made earlier in the movie. 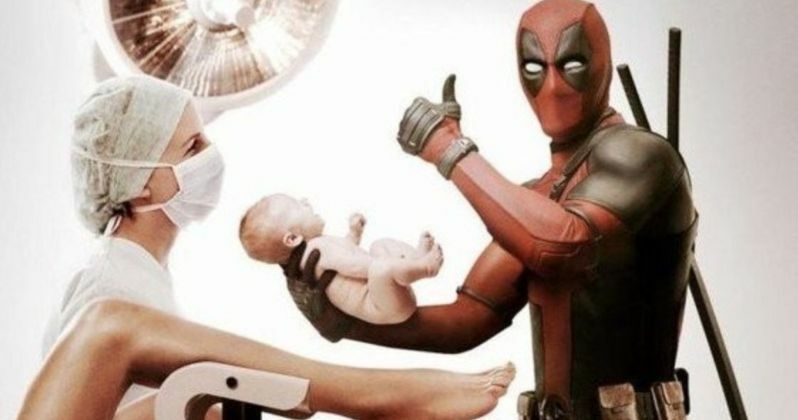 During the mid-credit scenes, Deadpool travelled through time to fix a number of his mistakes and to correct history, and the Super Duper Cut added a scene to this with him finding baby Hitler and trying to talk himself into the heinous act he was about to do to a baby. Finally, after the credits, this moment is wrapped up with one last scene where Deadpool decides to change Hitler's diaper and realizes that he simply can't kill a baby, and wants Cable to do it instead. The Hitler scenes were previously discussed when the movie first released in May, when it was revealed that they had been cut out due to how poorly they was received by test audiences. After this news was revealed, many believed that we would never get the chance to see these deleted scenes. This makes its inclusion in the Super Duper Cut all the more exciting. The Super Duper Cut also includes a number of other scenes that were originally cut, with many of them being cut simply because they were a little too dark or raunchy for test audiences. One such scene that was added towards the beginning of the movie was an entire montage featuring Deadpool trying different ways to kill himself. Extended cuts of comedy movies tend to take the comedy up to a new level, including scenes that are just a little too dark for general audiences. Even compared to other comedy extended cuts, Deadpool 2's Super Duper Cut still bumped up the darker comedy elements to a new level, making it possibly unsuitable for audiences with a lighter sense of humor. The addition of the baby Hitler post-credit scenes to the Deadpool 2 Super Duper Cut from 20th Century FOX makes the extended version even more enjoyable. Anyone who loved Deadpool 2 will surely enjoy the Super Duper Cut even more, as it includes all of the dark comedy that the filmmakers would've loved to have included in the theatrical cut, yet had to take out simply to please general audiences. You can watch the Deadpool 2 Super Duper Cut digitally today, or on Blu-Ray on August 21st, 2018. Otherwise, you can watch the baby Hitler post-credit scene below.